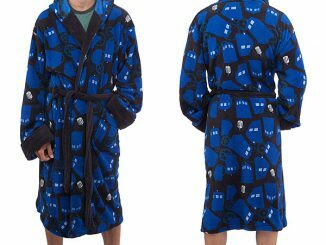 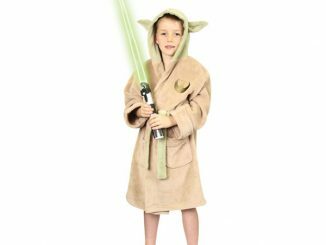 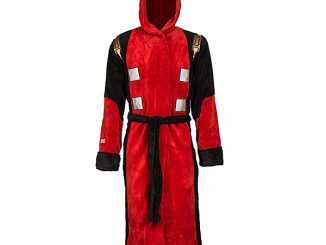 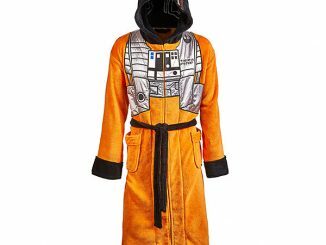 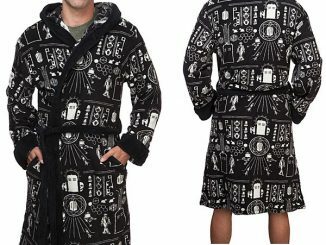 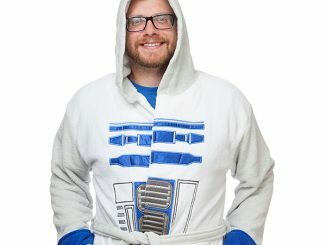 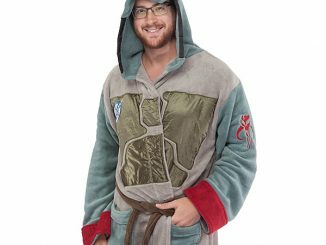 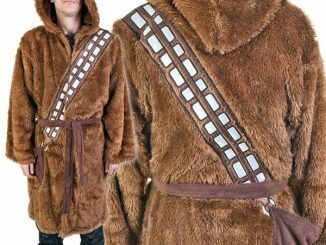 This Star Wars Ships Fleece Robe looks pretty comfy. 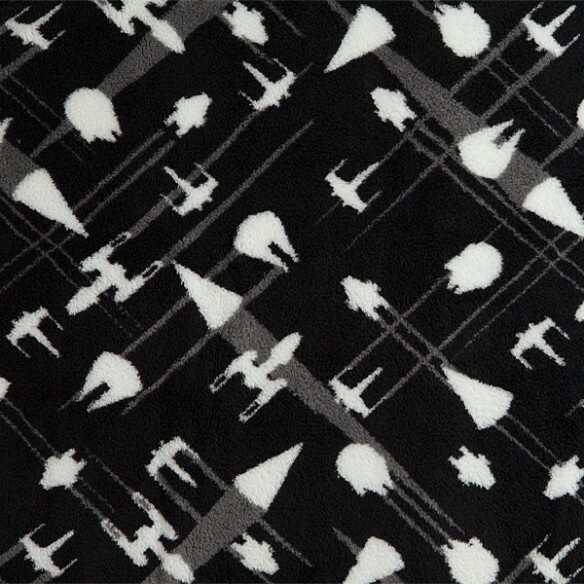 It features various spaceships from Star Wars fighting and shooting each other, with you wrapped up and in the middle of this crazy battle. 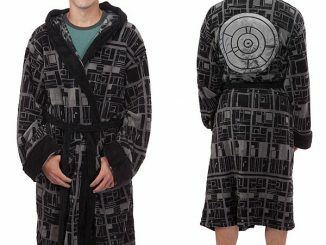 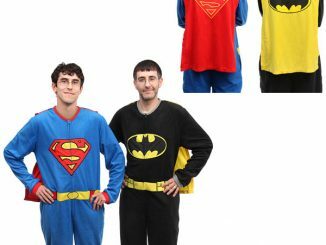 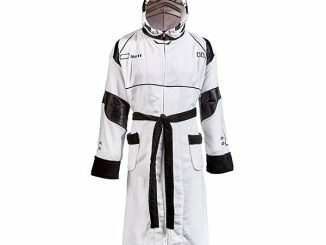 It is a must have for the Star Wars fan who loves comfort and space ships. 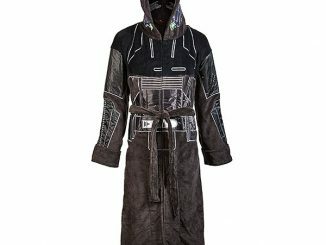 That sounds like all of us actually.